A sad, strange monument to the reality of war. 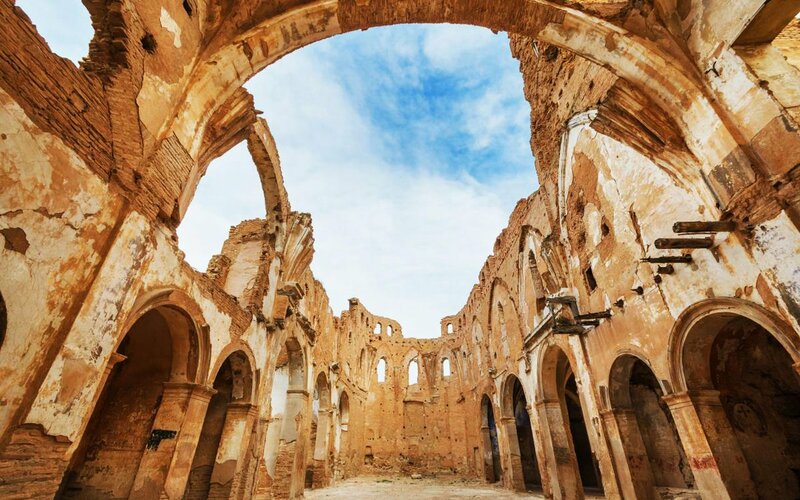 The old Spanish town of Belchite found itself on the front lines between two armies and two ideologies during the Spanish Civil War of 1936 to 1939. 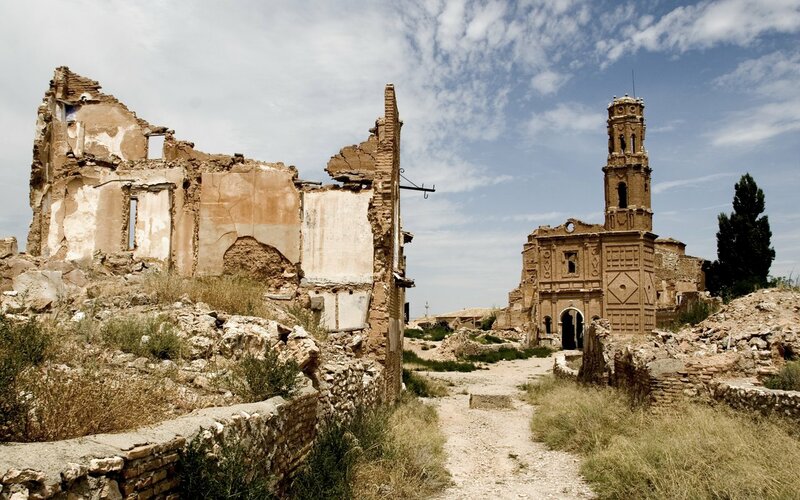 Today Belchite looks largely as it did in 1939; piles of rubble strewn about, the clock tower barely standing, Mudejar brick-and-arch work of some residences on display, the cathedral pockmarked with bullet holes and gouged by mortar shells. Get your tickets at the tourism info center in town. There are two guided tours daily during July and August. The tour is in Spanish but they have audio guides available in English. The tour lasts 90 minutes but could be done in 30 if you didn't have to wait for the group. 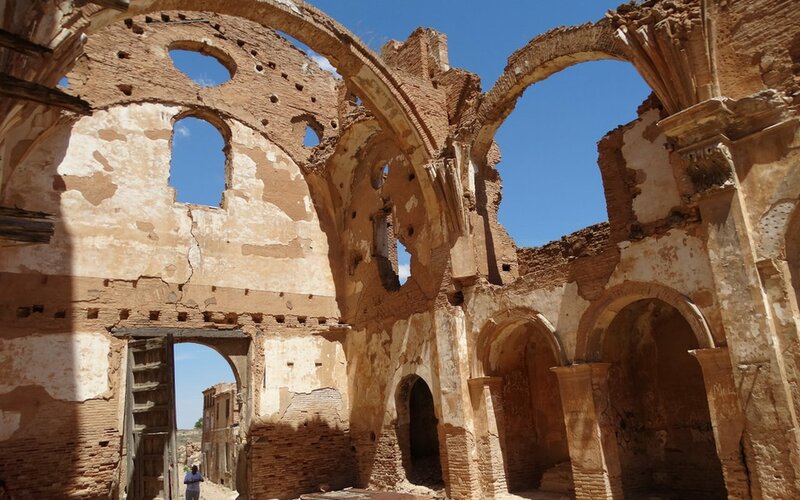 Seeing the ruins of Belchite, destroyed during the Spanish civil war in 1936, was humbling. 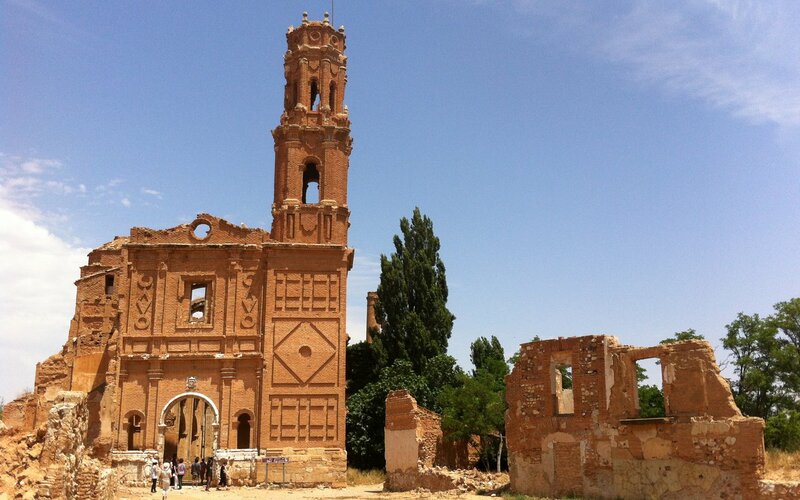 There is an unexplored mortar in the tower of one of the churches. 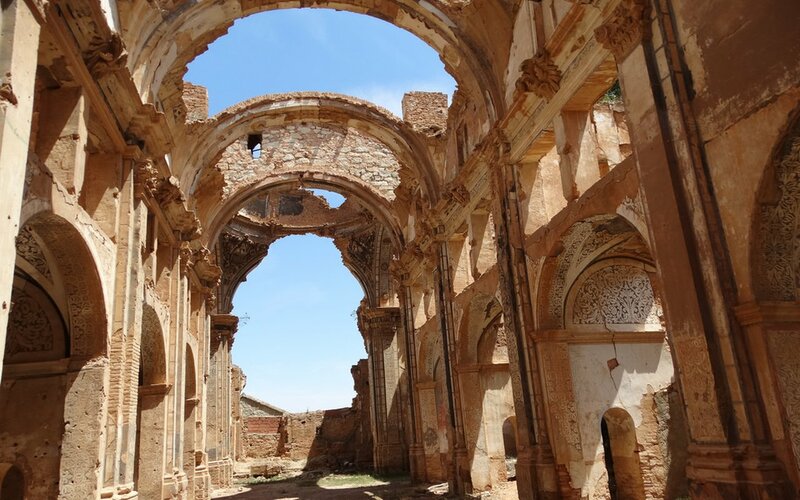 Definitely worth visiting, but bring water and an umbrella if it's a hot day. Not suitable for strollers or wheelchairs.